The Monaghan Association no longer meets and after meeting with former committee members Willie decided that the funds still in the bank account should be put to good use rather than sitting in the account and paying fees every month. We were very glad to be one of the causes chosen for a donation along with Sister Sabina’s Fireside charity. 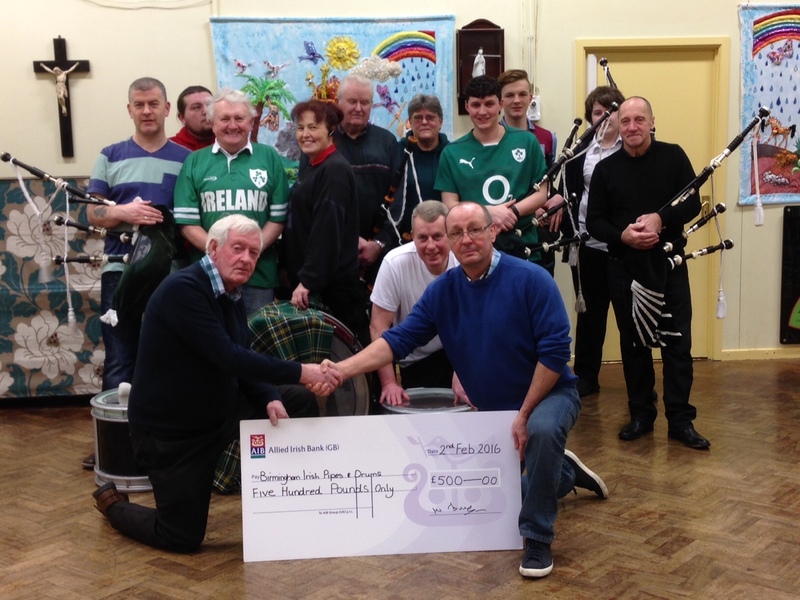 Willie Finnegan presenting the cheque for £500 to Pipe Major Bill Grigg and the rest of the band at practice.